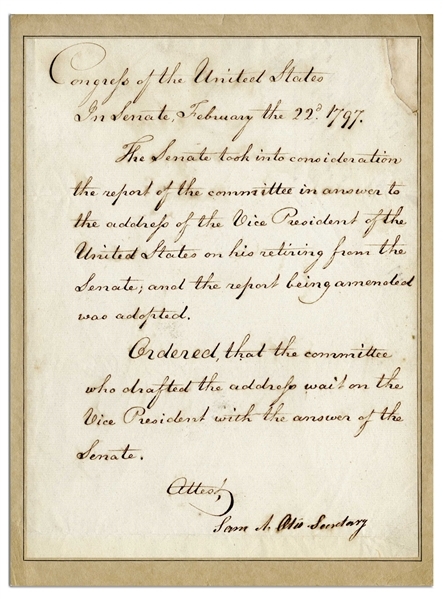 Important document signed by Samuel A. Otis as Secretary of the U.S. Senate, dated 22 February 1797. 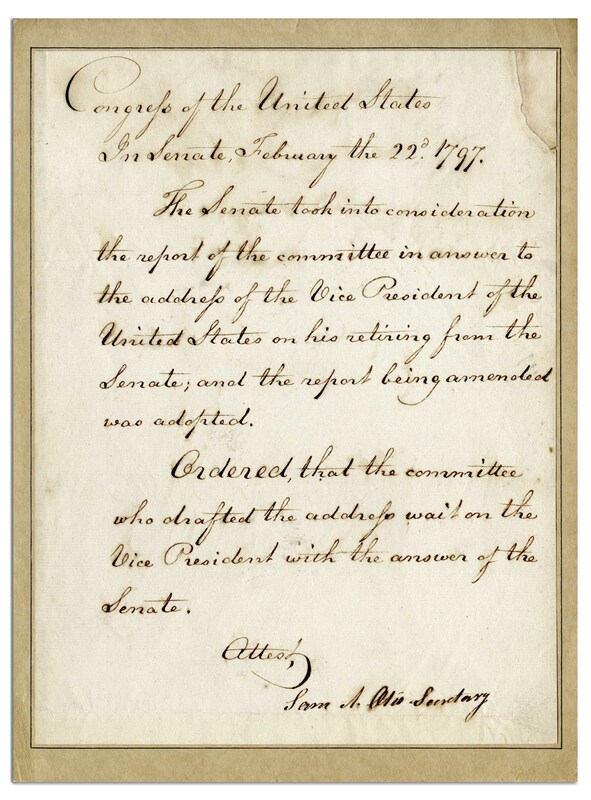 Otis confirms John Adams' retirement from the Senate, as Adams was seguing from Vice President under George Washington to President in his own right, with his inauguration on 4 March 1797. 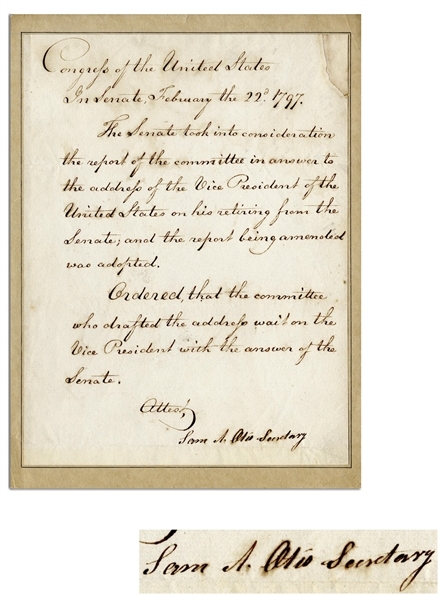 Document reads in full, ''Congress of the United States / In Senate, February the 22nd, 1797. / The Senate took into consideration the report of the committee in answer to the address of the Vice President of the United States on his retiring from the Senate; and the report being amended was adopted. 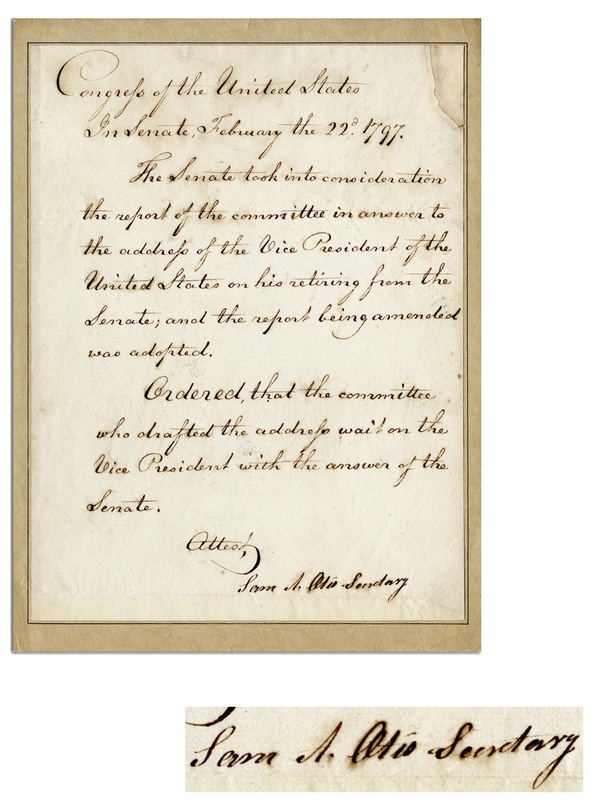 / Ordered, that the committee who drafted the address wait on the Vice President with the answer of the Senate. / Attest, [signed] Sam A. Otis Secretary''. Single page measures 7.25'' x 10''. Closed repaired tear to top right corner and light creasing, overall very good plus condition.